March 31, 2017, 8:00 p.m. The term microbiome refers to a collection of bacteria that inhabit a particular niche in our body, and we have a number of these microbiomes. ~90% of an adult human is bacterial. 10x more bacterial cells than human cells. Microbiome provides essential functions, i.e., Feeds us, forms us and protect us. Bacteria typically in our gut will digest complex molecules providing us with nutrients. They form us; the bacteria helping us to develop an immune system, and they protect us because if we are inhabited by non-pathogenic bacteria, they will protect us from being inhabited by pathogenic bacteria that can cause disease. We have bacteria that inhabit the esophagus, the stomach, the small intestine, the cecum, and the colon. How do we acquire a microbiome? A baby is born without microbiomes, but it will inherit its mother's microbiome, particular if it's born from the vaginal delivery; and baby born by caesarean section will develop its microbiome slightly delayed from that of a vaginal birth. Why is the gut microbiome relevant to Primary Trimethylaminuria? When we eat food, gut microbial action in the gut breaks down the bond of the Trimethylamine group, by liberating nitrogen, methyl group, and other atoms that might be linked to them, and liberate the molecule resulting in trimethylamine (TMA). This [odorous] trimethylamine (TMA) molecule is very quickly absorbed [into the bloodstream] and is taken to the liver. In the liver we have this enzyme called FMO3, which is able to catalyze a reaction, which adds an oxygen (the O here in the diagram) onto the nitrogen (N) to form the molecule called trimethylaminuria-N-Oxide (TMAO) [non-odorous], which is then were very rapidly excreted through the kidneys. And so, the cause of trimethylaminuria [TMAU1] is when the FMO3 gene carries a mutation, such that the enzyme that is encoded by this gene, cannot carry out this reaction very efficiently. Flavin containing Monooxygenase 3 is the metabolic enzyme in the liver that adds the oxygen atom (O) to trimethylamine (TMA) to make it non-odorous. A gut free of bacteria does not produce TMA. Several bacterial phyla produce TMA. In the gut we have many different pathways that can be carried out by different bacteria to produce trimethylamine (TMA). Bacteria can actually convert trimethylamine (TMA) [odorous] into trimethylamine-N-Oxide [non odorous], and use it themselves. So this would be by bacterial enzyme. There are a number of different constituents of the diet that have been shown when you culture bacteria to be able to give rise to trimethylamine. These include choline, betaine, carnitine, and also trimethylamine n-oxide (TMAO) [from fish and seafood] itself. Marine fish that live in the sea or in deep fresh water lakes are the richest dietary source of TMA because to protect their protein from breaking down in salt water and pressure changes, the fish Flavin Containing monooxygenase enzyme (protein) is increased to produce a lot of TMAO, which protects their proteins in the muscles of the fish from breaking down. 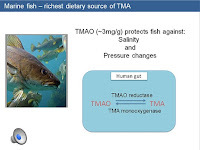 In humans eating fish (high in TMAO) our gut bacteria converts it to TMA with our gut bacteria’s TMAO reductase enzyme and the bacteria uses the TMA for itself. The rest of the TMA is passed from the gut to the liver to be metabolized by the FMO3 metabolic enzyme to add an oxygen atom to make it TMAO (non-odorous). Slide #6 How do we actually measure the content of a particular foodstuff? The two methods [of measuring the content of TMA in foods], chemical digestion and biological digestion, don't always give the same answer. One is a very harsh chemical condition, and the other one is reliant on the biological digestion of the foodstuffs in the gut by the bacteria that reside in the gut of that Individual. So just looking at a table doesn't necessarily give you the amount of trimethylamine (TMA) that's might be released when a human eats this particular foodstuff. Lists TMA content of foods, including fruits, vegetables, and chicken, mushroom, pork, egg, beef, soya, lamb, mackerel, and cod, indicating significant differences between chemical digestion and biological digestion. Researchers identified an inhibitor of FMO3 activity in brussel sprouts. 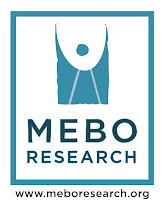 We are most grateful to Professor Elizabeth Shephard, PhD, for her continual monumental support through the years to the MEBO Mission by educating us through her three PowerPoint presentations, by working with United States and United Kingdom governmental agencies and councils, and by spearheading MRC funded research into a therapeutic for TMAU. Great presentation. Such a shame they can't get hold of another grant for the next stage of the research. My question is, with all this information, why hasn't a better treatment option, or at least a better odor controller been found, other than the activated charcoal, and the chlorophyll, which does absolutely nothing for some, i mean, there has to be a better treatment that goes in and targets what really needs to be targeted, which is blocking, or stopping the tma from reaching the bloodstream in the first place, we need a tma blocker of some sort to hit the market real soon..its just that simple. I can't believe an FMO3 enzyme does not exist in pill form. Why can we buy Coenzyme Q10 for wrinkles but not FMO3 which would seriously alter people's lives?? Any 'TMAU experts' will say FMO3 can't be taken orally, same as an exyme pill cant be taken for cystic fibrosis or diabetes. the reasons are like it will be destroyed by stomach acids etc. But the geneticist in the recent webinar asked Prof Preti the question, as if it may possible. I have heard another prof suggest it. by enzyme, it means cell enzyme. Not like a digestive enzyme which is a big thing outside a cell. We do need to find out more if this therapy might be possible. It is worth asking experts. 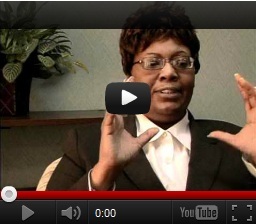 But Cleveland dont seem to be going for a FMO3 pill for heart disease. Thank you for your reply. It just "sounds" simple enough: we need to oxidize the TMA. I pray for a cure to TMAU and I don't believe it's a rare disease at all. another option would be a 'probiotic' that contains an enzyme that could put TMA down the methane pathway. now this would be gone by cloning the enzyme and putting it in a harmless gut bacteria. i am surprised cleveland are not going this route, but they are trying for a tma-blocker i guess. How long left for this tma-blocker pill to come out?